Aesthetics is typically seen as a theoretical, especially philosophical academic discipline focusing on questions about art, beauty, the nature of aesthetic experiences, and many other issues related to these. However, there is another, non-academic side of aesthetics where similar issues are addressed, and which is not usually considered in academic context. 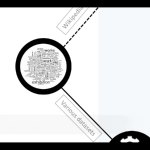 To investigate how these two areas of aesthetics relate to each other we applied computational text-mining techniques on Wikipedia, Google trends, YouTube, Open Library books and Web of Science datasets. 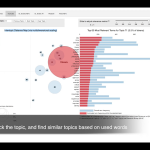 We used topic modelling as a method for analysis, and used Gensim library to implemt it. Firstly, we collected data from the aforementioned sources, either by downloading from a provider, or using API’s, or scraping it with created web robot. Later we created a list of topics covering all the data we gathered, and created a topic map based on English Wikipedia articles. 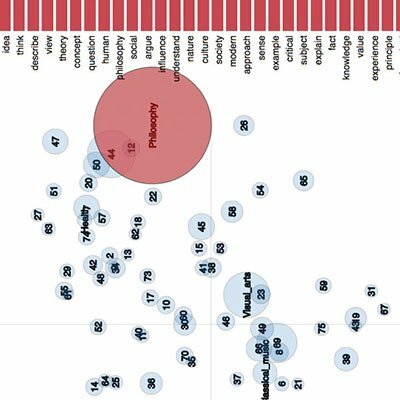 Later on, we imputed each dataset into the generated topic map to identify what are the most discussed topics and to what extent. Imputed datasets were related to aesthetics, e.g. Web of Science dataset included only abstracts and titles from articles that either include a keyword “aesthetics” or are from recognized venues in aesthetics discipline. Such mapping allowed us to avoid some well-known topic modeling problems. For instance, if we had applied topic modelling on separate datasets straight away, we had not been able to compare them due to differently designed topics among datasets, and topics had not been relevant due to the relatively small amount of documents imputed, as topic modelling requires a high amount of documents for informative results. To visualize results we used slightly changed version of Python library called “LDAvis”. Results allowed us to compare both areas of aesthetics and describe wideness of the gap between the two, as well as showcase a digital tool application in the field of aesthetics. 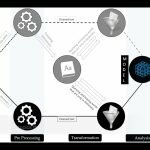 This data analysis process was finished on 2017 June and an articles based on it was submitted to an international journal of aesthetics in August 2017. Ossi Naukkarinen, PhD, is Professor and Vice Dean at the Aalto University School of Art, Design and Architecture, Finland. He has published books and articles on various themes in aesthetics, including digital humanities environmental art, everyday aesthetics, and mobile aesthetics, in journals such as Contemporary Aesthetics, Aisthesis, and Nordic Journal of Aesthetics. His publications have also been translated into Spanish, Slovenian, Italian and Chinese. One of his article received the Academic author of the year / Vuoden tiedekynä -prize (Kone Foundation, 2012) in the category of social sciences. Darius Pacauskas, PhD, is a recent Postdoctoral researcher in the Department of Art of Aalto University School of Art, Design and Architecture. He is a former Marie-Curie fellow with a computer science and social science background. His interest lies in applying ICT in various areas of research, and publications concentrated on creativity supporting technologies as well as their role in fostering collaboration and societal impact.